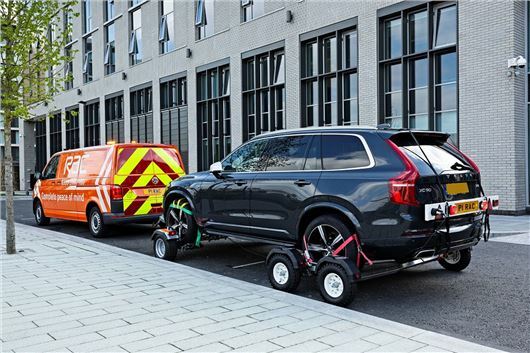 The RAC is introducing new technology which allows its patrols to tow cars without any wheels on the ground. Many cars - including four-wheel-drive and electric vehicles - can't be towed conventionally using the breakdown firm's current equipment, which requires two wheels to be rolled along the road. The new gear lifts all four wheels off the ground without the customer having to wait for a recovery truck. Dubbed 'All-Wheels-Up' technology, the kit can be stowed in the back of a long wheelbase RAC van and deployed in a fraction of the time it'd take for a standard recovery truck to arrive. This means the time taken to get a stranded vehicle home or to a garage is cut dramatically. RAC patrol Martin Payn, who's tried the new equipment across Dorset and Somerset, said: “In the rural parts of the country I cover, I see a lot of breakdowns involving SUVs and 4x4s. In the past, on the occasions where I couldn’t fix their vehicle, customers always had to wait for a recovery truck – which was frustrating for them, and for me. RAC breakdown cover is currently available from £40 a year.